Aircraft charter specialist Air Charter Service has arranged the inaugural private jet flight from Dubai Al Maktoum’s new VIP Terminal on an Embraer Legacy. The terminal is the world’s first seven-star airport facility and this flight marked the beginning of operations at the private aviation-dedicated terminal. The facility is a 60,300ft² stand-alone terminal operating 24 hours a day, 7 days a week, and catering specifically to private, business and government VIP travellers. The aim of the new development is to double private jet traffic in Dubai by 2020. 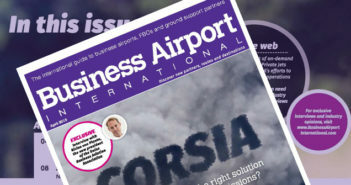 Read more about the new VIP Terminal in the April issue of Business Airport International.